This week my Can't Wait pick is Strange New World. Cloning always gets me. What are you thinking of Vault of Dreamers so far? I've only read one book that was about a clone, but I do like the cover of the one you shared! I've had Vault of Dreamers on my tbr for a while, looking forward to your thoughts :-) And I love that cyberpunk art! Thanks! I love cloning stuff. Vault of dreamers was good, I'm about halfway through the next one. It's YA-ish but still good. And yay that cyberpunk art!!! Strange New World sounds different. Are you enjoying Longmire and Riverdale? 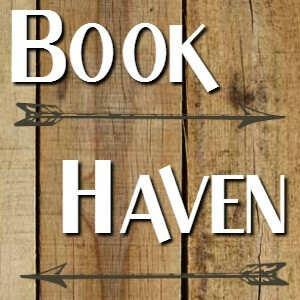 It does, I didn't LOVE the first book but it was okay and I'll definitely keep reading. Longmire is a good show, I took a little break but will finish soon. And Riverdale is quirky! I'm not really a clone/SF kind of person but I hope you'll enjoy it! Strange new us certainly is a creepy cover I think! I hope it's a good read! I like the idea of your Can't Wait Wednesday choice. Thanks, I do like a cloning story! Rachel Vincent always gets me, so of course I'm already intrigued, hehe! I've read a few of hers now, and I'm excited for the new one! I STILL need to read the first one in this series! But that's what binge reading is for! Lol! Can't wait for this one either! The idea of cloning has always fascinating me as well, in a creepy kind of way, lol. Definitely interested in seeing what you of this book. Great pick! That's a great pick! Gonna have to check out the first book. My husband and I are watching Lomgmire, we're on season 5 now. It is really good! I love the cover for Strange New World. It's definitely eye catching. I've had a number of people recommend that I watch Longmire so I'm thinking I should give it a chance! I think you might like Longmire! It's a good show. And I agree- an awesome cover. Yeah I just recently discovered the cover for this one as well, and loved it! Strange New World looks a bit creepy, I didn't realize this was a series! I think I didn't realize it either as I was reading the first book, but the way it ended... I was like okay then. Ha ha! 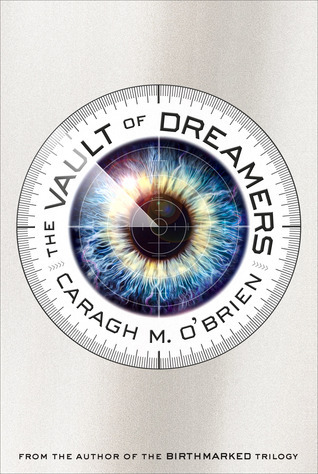 I just finished Vault of dreamers and liked it. A solid 3 star, and I'm halfway through book two now. OO Rachel Vincent.. That's gotta be good. You have some nice pics here! I hope you get a chance to read them! Yes, I have read some of hers and think she is great! Enjoy! That Strange New World cover is creeeepy! And absolutely grabs my attention. I've heard good things about Riverdale but I haven't watched it. Oh my gosh Orphan Black! I miss that show. I love how creepy the cover for Strange New World is. I definitely need to add this to my tbr. Thanks for sharing! I read and loved the Birthmarked Trilogy...so I should look at this one, too! I love the titles Strange New World and Brave Nee Girl. Fun play on the classic Brave New World. :-) I hope you are enjoying Vault of Dreamers! I need to give Longmire another try. I love the books, but couldn't get into the show. Rachel Vincent is always a good choice for me. I may have to try that one. Oh and I do like that painting. It does have a sci-fi movie feel to it. I loved Vincent's Soul Screamers series and would like to read more of her books. I am curious, and have been wanting to read Brave New Girl. I love Rachel Vincent, so I'm definitely excited for that one. Love that picture at the end of your post as well! 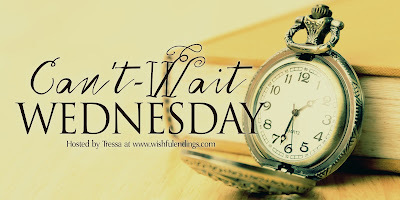 Thanks for stopping by my Wednesday post on Lisa Loves Literature earlier! 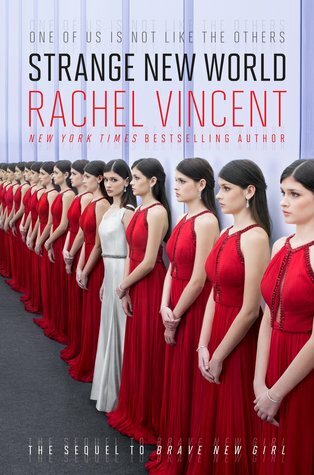 Oooh I didn't know Rachel Vincent had a new book out! I think I've read 2 of her books in the past, and it would be lovely to see how she's grown as a writer! Plus I'm definitely interested in the cloning. Definitely want to read Strange New World! The first book wasn't mind blowing, but entertaining enough for sure. And Night Lights definitely looks like something from a Cyberpunk movie- or even a book cover. I like it! Strange New World looks amazing! I haven't read the first book, but that cover really makes me want to pick it up. Strange New World looks good and I do want to read more of Vincent's work. I am curious about Vault of Dreamers since I have a copy of that one to read soon. Enjoy! Great pick! I haven't read the first books, but the cover is very eye-catching and her expression definitely draws me in. I like that you include a little of everything in your posts! I'll have to check out Riverdale someday, looks like a fun show. As it happens, I haven't read all that many clone stories, Greg - is this a good series to tuck into? Himself will be delighted that Longmire is still going strong:). I never read the first one but I love the cover of that one. I am looking forward to watching more of Riverdale, I was always a big fan of the comics. My uncle used to being them to me every sunday. I still might have some in my basement...I am going to have to look. I also like Sabrina and Josie. The cartoons were always the best. I absolutely love Longmire, but I really have to finish watching the series soon. And great CWW pick I haven't read a lot of books with cloning I so need to remedy that soon. But this one looks really amazing. Thank you so much for stopping by my CWW last week. Do You Review Right Away?